Invest Openly: Are You Embracing Enough Contradictions Of Your Life? Are You Embracing Enough Contradictions Of Your Life? 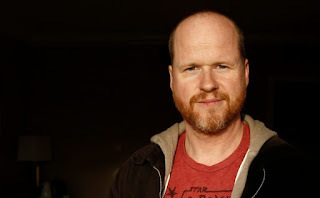 I am a movie fan and like how Joss Whedon bring all the Marvels' superheros (including but not limited to Iron Man, Captain America, Hulk, Black Widow and Hawkeye) into the international blockbuster franchise, The Avengers. No, I am not going to talk about movie today. What I am going to talk about is the inspiring commencement speech delivered by Joss Whedon in 2013 (at Wesleyan University). He talked the importance of seeing both sides to anything and everything. Like the saying goes, there is always two side of the coin, we need to look at both sides of it. Contradiction is what he is talking about! It could be between our mind and physical state e.g. your mind is asking you to go out and chiong but your body simply want to rest. Another example is that two roads diverged in the woods and you took the path less traveled, part of you is just going "Look at that path! Over there, it's much better, everyone if travelling on it." 2. We need to establish our identifies and beliefs by arguing ourselves down, or else, someone else will. Just like in stock investment, we are constantly dealing with contradicting parameters/news, whichever ways/options we choose, there is always opposite voice. There is no right or wrong answer, we just need to be aware of such other voices. The typical dilemma of retail investors is whether to follow TA (Technical Analysis) or FA (Fundamental Analysis) or both. Either way can makes or breaks your bank account and there is pros and cons in each of the approach. Again, follow your heart in adopting the approach closer to you and keep learning to make aware of the other voices. "You are going to change the world, because that is actually what the world is. You do not pass through this life, it passes through you. You experience it, you interpret it, you act and then it is different." Let's change the world! Cheers! Maybe every of our actions change the world a bit? Our mind is naturally great at producing contradictions. That's why we have to constantly stay alert and exercise constructive skepticism with our reflective brain, weigh the options, and only then come up with a rational decision before we act. It's always best to think before believing. Tacomob : Thanks for dropping by and providing your insights.. Can't agree more with you. Embracing the differences and the contradictions is one of the many paths which helps us in self discovery. GP Blogger : Thanks for dropping by and comment. Like the quote that you've shared.